'Jade Chrysanthemum' Handprinted Cotton Scarf. 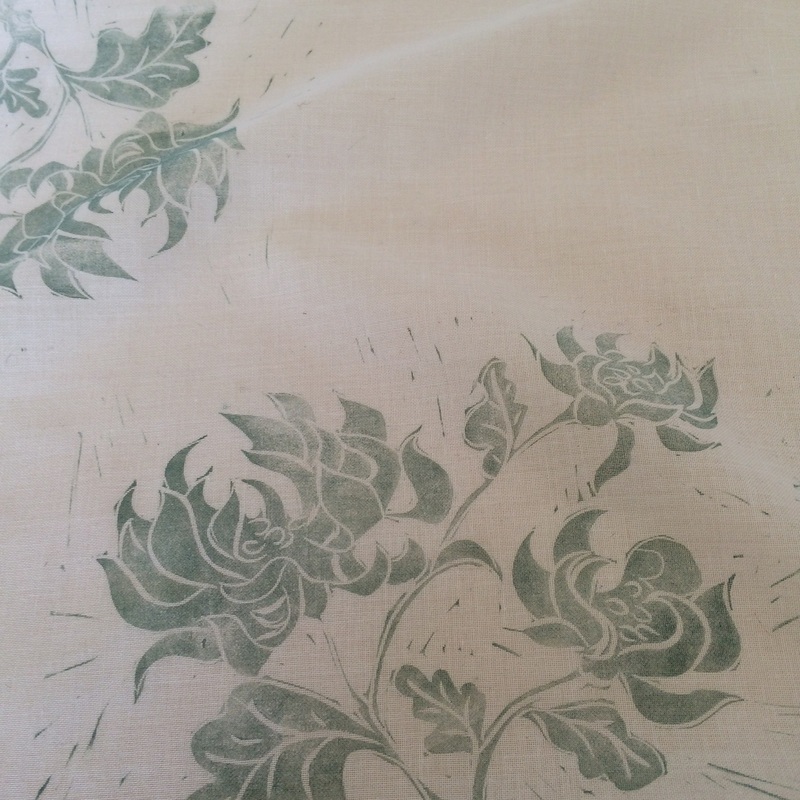 ​Light, floaty, soft and feminine…..my new 'Jade Chrysanthemum' scarf is handprinted with a ​delicate grey / green Chinoiserie floral pattern, on fine 100% pure white cotton, with a hand rolled hem. I print the pattern from the original Lino block, in my small home based studio. 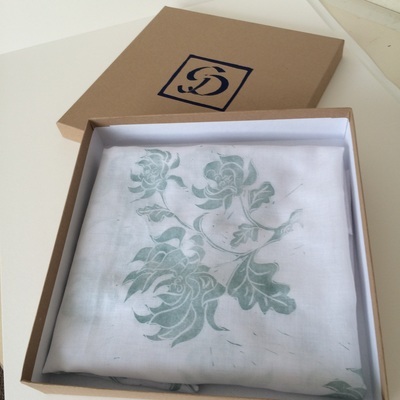 Once dried and hand finished, the scarf is folded, wrapped in acid free tissue, and sealed with a ribbon and label, before being placed in the handprinted manila box. These items will be handmade to order, so please allow 14 days for delivery, or contact me if you require it by a particular date. P&P and UK delivery is included in the price. International orders will be billed for shipping at cost. Please enter the email address you wish to be contacted on. please choose which shape scarf you require: Square 90x90cm (Option 1) or Long 180 x52cm (Option 2). Please enter the address including post code and country, where you would like the order delivered. 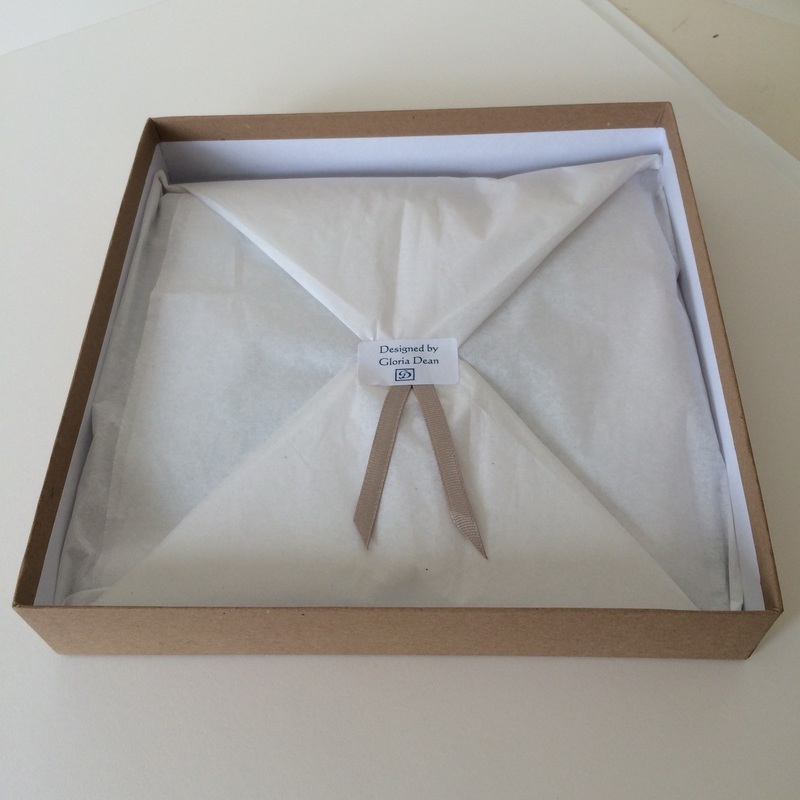 UK postage is Free; International orders will incur shipping charges at cost.